Ice on the Lake – OK, I will admit it: It is hard to take picture of snow and ice. 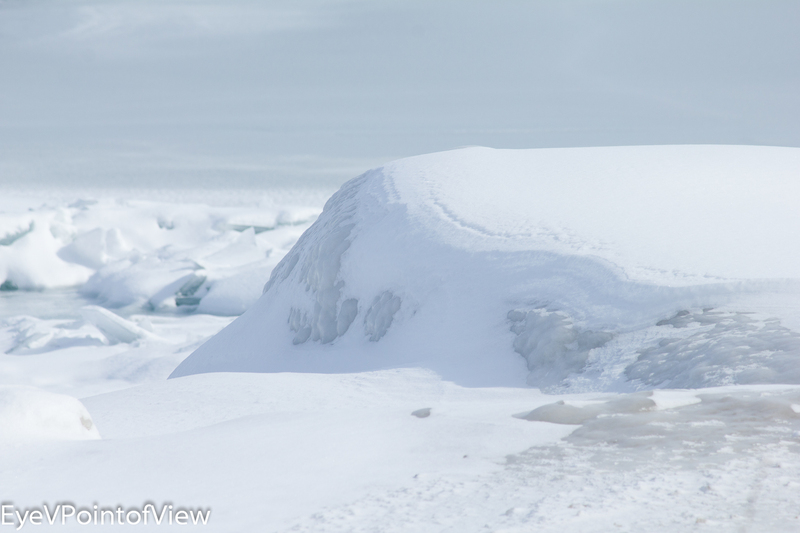 I love the expanse of snow and ice on the lake that you see in this picture, where the blue of Lake Michigan shows thru the ice bergs. The roped steel cable coming thru the snow provides a hard contrast to the otherwise soft edges of the image. 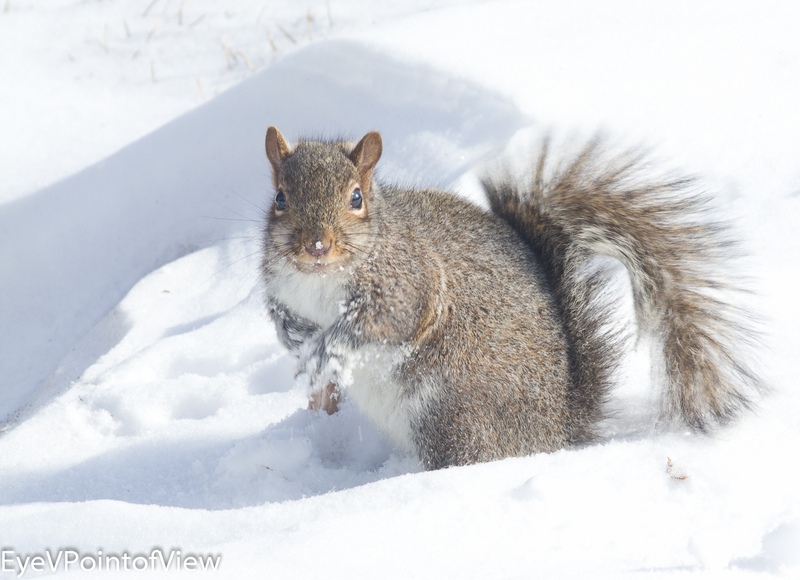 Packing Snow – The squirrel ran across my path, making a striking contrast against the snow. The squirrel stopped and turned when I started snapping pictures. In this image, I thought it looked as if he was packing a snowball! Who knows – If I stayed around longer, he might have started throwing at me?! Shadow of a Bench – As I crossed the bridge from the lake side to the shore side, I loved the shadow of the bench reflected on the snow. 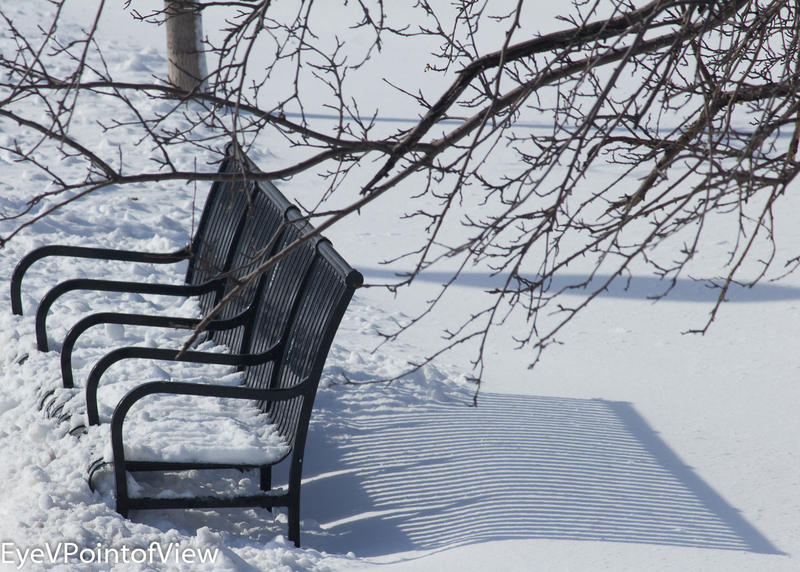 This day, the snow was still pristine, and the lines of the bench were striking. Skyline –Chicago has such a wonderful skyline! 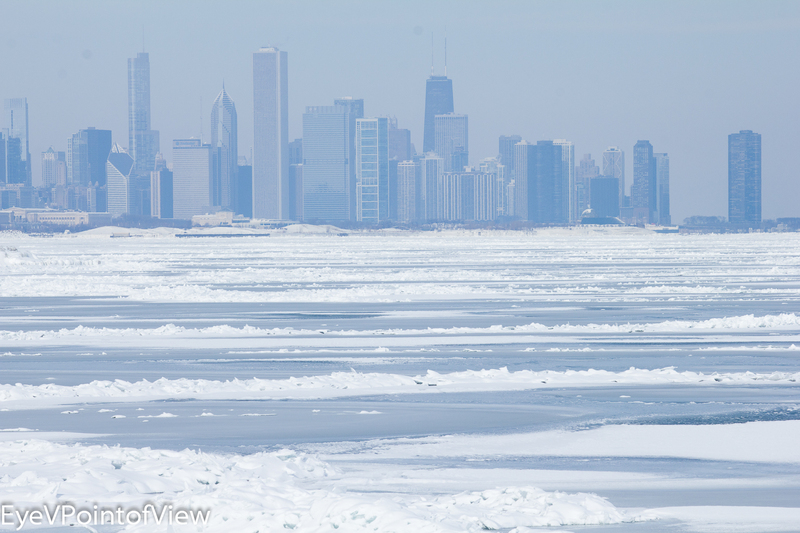 In this one you can see the snow and ice covering Lake Michigan, in front of the expanse of buildings. I have read statistics that 80% of the Great Lakes are covered with snow and ice, a situation which could kill fish, since it blocks sunlight and impedes oxygen creation. Snow Covered Rock – Up close, this is more like a mountain than one of the limestone blocks shoring up the lake front. I love the fact that you can see the ridges on the snow and the bumps and ridges in the ice. The snow looks soooo powdery. 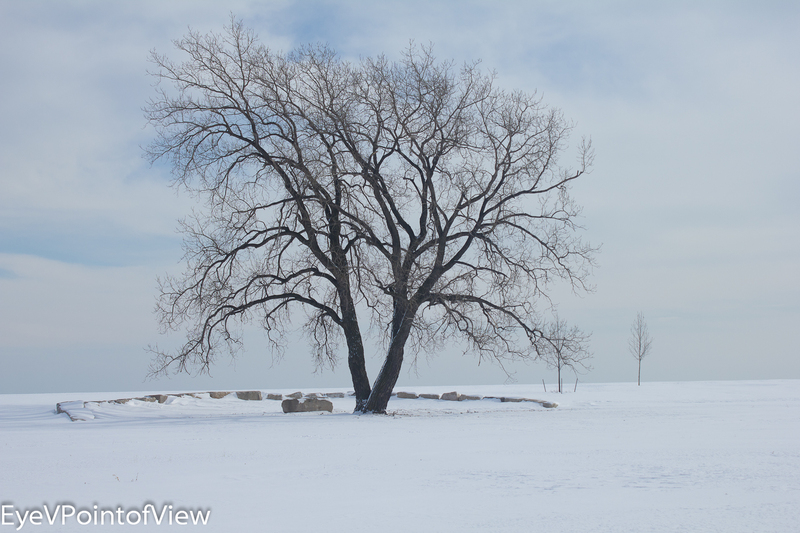 Lone Tree – This tree is akin to the California’s famed lone cypress, that much photographed tree on the 17-Mile drive; it’s located on Lake Shore drive, and the background is Lake Michigan, instead of the northern California coast. Winter – old school or not – isn’t just cold, it’s beautiful too, just as these 5* pix show!